22 Aug 2018 --- Supplementing with omega 3 may lower the risk of cognitive depression in people who experience depression and chronic heart failure, a study published in the Journal of the American College of Cardiology’s Heart Failure edition has found. The study found significant correlations between blood levels of EPA plus DHA omega 3s in cognitive, as opposed to somatic, depression among the participants. “This was a study in already depressed individuals, which meant the researchers are looking to high-dose (although it could have been higher) omega 3 supplements to improve depressive symptoms, like a drug,” says Dr. Bill Harris, one of the study's authors and the co-inventor of the Omega 3 Index Test. The study included 108 subjects who were assigned to one of three groups each taking two grams per day of either a 2:1 mg EPA/DHA supplement, a high EPA product, or a placebo. The study lasted 12 weeks with blood testing (i.e., omega 3 index and RBC levels of EPA and DHA) completed pre- and post-supplementation. 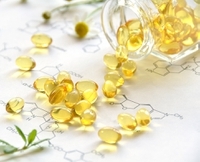 The results demonstrated that the omega 3 index reached 7.3 percent in the EPA/DHA group, 7.1 percent in the EPA group and 4.4 percent in the placebo group. This indicates that the dose was adequate to significantly improve the omega 3 index in the space of three months. The depression was measured using the Beck Depression Inventory-II (BDI-II), which is the most widely used instrument for detecting depression. Significant correlations between the omega 3 index and measures of cognitive depression where found. The researchers note two drawbacks of the study: The study was a pilot, meaning the p-values were not adjusted for multiple comparisons, so there is a higher likelihood that they were chance findings. Secondly, the study was relatively small with limited power and there was no significant effect of either omega 3 formulations on a variety of psychological measurements, in particular on the Hamilton Depression Score (HAM-D). So, the primary findings related to correlations between changes in the omega 3 index and the BDI-II cognitive depression metric.